In Goodyear Tire & Rubber Co. v. Haeger, 581 U. S. ____ (2017), the U.S. Supreme Court ruled that the lower court exceeded its authority when it imposed a $2.7 million sanction against Goodyear Tire & Rubber Co. for discovery misconduct. The Supreme Court unanimously held that when a federal court relies on its inherent authority to sanction bad-faith misconduct by awarding legal fees, the amount can’t exceed the fees incurred by the innocent party because of the misconduct. 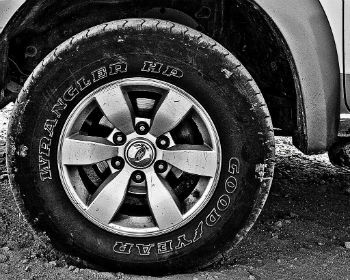 Leroy, Donna, Barry, and Suzanne Haeger sued Goodyear Tire & Rubber Company, alleging that the failure of a Goodyear G159 tire caused the family’s motorhome to swerve off the road and flip over. After several years of contentious discovery, marked by Goodyear’s slow response to repeated requests for internal G159 test results, the parties settled the case. In the event that the Ninth Circuit might require a link between the misconduct and the harm caused, the court also made a contingent award of $2 million. That smaller amount, designed to take effect if the Ninth Circuit reversed the larger award, deducted $700,000 in fees the Haegers incurred in developing claims against other defendants and proving their own medical damages. The Ninth Circuit affirmed the full $2.7 million award, concluding that the District Court had properly awarded the Haegers all the fees they incurred during the time when Goodyear was acting in bad faith. The Court held that “when a federal court exercises its inherent authority to sanction bad-faith conduct by ordering a litigant to pay the other side’s legal fees, the award is limited to the fees the innocent party incurred solely because of the misconduct—or put another way, to the fees that party would not have incurred but for the bad faith.” Justice Elena Kagan wrote on behalf of the unanimous Court. A sanctioning court must determine which fees were incurred because of, and solely because of, the misconduct at issue, and no such finding lies behind the $2.7 million award made and affirmed below. Nor is this Court inclined to fill in the gap, as the Haegers urge. As an initial matter, the Haegers have not shown that this litigation would have settled as soon as Goodyear divulged the heat-test results (a showing that would justify an all-fees award from the moment Good- year was supposed to disclose). Further, they cannot demonstrate that Goodyear’s non-disclosure so permeated the suit as to make that misconduct a but-for cause of every subsequent legal expense, totaling the full $2.7 million. The Court remanded the case back to the Ninth Circuit for further proceedings consistent with its decision.